Exercise and rehabilitation play an integral part in everyone’s recovery from pain or injury. After your practitioner establishes an accurate diagnosis for your condition, a treatment plan will be provided involving hands on therapy and an exercise/rehabilitation program to assist in your recovery. Over the course of your treatment your therapist will identify any weaknesses or muscle and joint problems that can be helped through specific exercises to be done in your own time. These may include a series of stretches and movement based exercises. The benefits of a good exercise and rehabilitation program include; faster recovery from your condition, less pain and it also reduces your chance of re-injury. Programs are adapted at every stage of your recovery starting with basic stretches and mobilisations that can be done at home or at work. As your conditions improves, more functional exercises will be included in your program aimed at improving your ability to perform your everyday activities. Finally, more complex or resistance based exercises may be given to improve your strength, flexibility and stamina. This will help create resilience and reduce your chances of reinjury. Below is a basic example or an exercise/rehabilitation program for a torn calf muscle. Massage and soft tissue therapy are commonly used techniques at our clinic. Massage has many benefits especially with regards to injury management, recovery and rehabilitation. Trigger Point Therapy involves applying controlled pressure over the nodule/knot in order to reduce pain and loosen tight muscles. Joint mobilisation helps restore the normal movement of a joint that is stuck and not moving freely. We use specific stretching techniques designed to increase the flexibility of certain muscles and joints in the body. 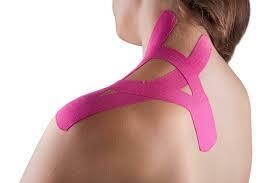 This enable the body to move more efficiently and therefore heal faster and reduce pain and stiffness. Dry Needle Therapy is used to deactivate painful trigger points, reducing pain and relaxing tight muscles. Different types of strapping and bracing techniques may help you return to activity faster and reduce your pain.